Apple's CFO Peter Openheimer reported that Apple had it's 18th record breaking quarter in a row. With the sales of iPad, iPhone, and Mac they posted earnings of 20 billion. The Mac is still 30% of that business and even if Apple were to separate out the Mac from their other businesses the Mac business would still be in the Fortune 500. He immediately said they would not do such a thing. Apple, as a company, has had a string of hits and have gone from a company 10 years ago where Michael Dell stated Apple should close their doors and give the money back to the share holders to the second largest US Company in terms of market cap, the fourth largest manufacturer of cell phones displacing RIM for the fourth place slot, even beating Microsoft in fourth quarter earnings this week. Half of the people buying Macs are first time buyers and are buying Macs because they like the iPhone and the iPad. From the rest of us long time members of the Mac community; welcome. I suspect Apple's next bold move will be s shot at moving into the enterprise where currently 60% of Fortune 100 companies are exploring how they can use the iPad in their business. Apple has beefed up it's business consulting staff so it is only a matter of time before Apple comes knocking at Microsoft's last major strong hold. Recently Apple held an event on the the Apple Campus in Cupertino where they gave us a sneak peak at an updated OS, iLife, new hardware and software and below are just some of my impressions of these. iLife 11 has some nice new features but it isn't the ground breaking app I was hoping to see. We still have nothing new for producing epubs and the next generation of ebook. They didn't even seem to touch iWeb or iDVD. In fact iPhoto just got a full screen mode, a couple of really cool new slide shows and some nice new book, card, and custom calendar options along with a revamped store to build and buy them in. GarageBand and iMovie seemed to get all the attention on this version. It is nice they got updated but how many people use iMovie and GarageBand on a daily basis? One interesting feature in iMovie is the ability to upload to MobileMe, Facebook, YouTube, Vimeo or CNN iReport right from the application. This could cause another explosion of user generated content like adding the video capabilities to the iPhone. My question is when will the iMovie iPhone application get the same treatment. News reports could be shot and edited on scene and uploaded to the news bureau instantly. The new iLife is also Snow Leopard only so if you still own a G5 or haven't moved up to Snow Leopard for some reason you have to do that first. While Apple has made a huge push to converting their entire platform to 64 bit, iLife is still being shipped as a 32 bit apps and can't really take full advantage of all the RAM our computers have to offer now. The apps are fast don't get me wrong but we wouldn't be Apple fans if we didn't want more. I think most of us old time Mac fans are still looking for the Knowledge Navigator from 1985 that was envisioned years ago and a video was created to show what computing would be like in the future. Apple has also released a beta version of FaceTime on the Mac as a standalone application. First I think it is a standalone application so that it can be ported to Windows when it is finished on the Mac. The application is still in beta no release date has been officially given yet. I have tested placing calls from the Mac to iPhones and have received calls as well. FaceTime isn’t exactly feature rich yet and has a way to go on deciding where to send a call. If I am at my computer and someone calls my iPhone I would rather the call go there or give me an option to transfer the call between devices. Jobs did promise when the iPhone 4 was introduced that millions of devices would have FaceTime by the end of the year and he was right. I am using FaceTime a couple of times a week to talk to people. Once you open FaceTime you can register one or more email addresses for people to call you on. FaceTime can ring to your computer even when the application is closed. When a call comes in FaceTime opens and displays who is calling along with a preview of what the caller will see if you answer. FaceTime still needs some smoothing over and some additional features but the minimal interface and video quality are both quiet good. I would like to have an announcement of who is calling instead of just a ring and I would like to see FaceTime work over 3G networks so I can make or receive FaceTime calls anywhere, anytime. I would also like to transfer a call in real time between my iPhone, MacBook Pro, or in the future iPad when it gets a forward facing camera. OS X Lion was a bit sketchy on details and Apple did not announce any ground breaking changes. We are now just getting more support for gestures and some of the things Apple learned about in iOS is being brought back to the Mac. First Mission Control is integrating expose, dashboard, and spaces into one easy to use gesture based system. I think while this is mostly UI polish it has the potential to improve my day to day work flow and reduce some of the window clutter that can distract me and keep me from completing tasks. With a click of a button I can make app full screen to work undistracted. However with a swipe gesture I can jump to another full screen app or back to my windowed desktop. Another swipe and all my windowed apps group by type and group with each other so I can look at them quickly and easily. Another gesture and my widgets slide in at the ready. Apple added expose in 10.3 to deal with Window clutter and dashboard in 10.4 to give us access to small specialized Programs called widgets. I see these features hardly used with a lot of Mac users I work with and I believe this is Apple's attempt to move these apps into the main stream. Next up is LaunchPad. It looks like the home screen on the iPad or iPhone. Which begs the question do we need another app launcher? To date we have the dock to place apps you use all the time, the finder to locate and run rarely used apps, or my personal favorite Spotlight. Just type a shortcut and the first few letters of the app name and press enter. Now we are getting another new gesture and LaunchPad flies in and we can interact with the apps the same way we do on the iPad. This could help reduce some clutter in the dock and organize apps a bit better. I just would like to see them come up with an easier method to rediscover an app I already have. Many times someone has asked me about an app or I have needed to perform a task and just couldn't remember the name of the app I wanted. We almost need an app to keep track of our apps, particularly the ones we use infrequently. The next item up and the one that will and is creating the most up roar in the Apple community is the Mac App Store coming to Snow Leopard sometime in January. Just early this year it was reported that the next version of OS X would have an app store and only approved apps would be allowed on the new OS. To which in a short Steve Jobs email he replied no. Now two questions were asked, and only one answer given. Now at the Back To The Mac event we get a cleared picture. Yes, we will have an app store and no users will not be restricted to loading only software purchased from there. So geeks breath a sigh of relief, nothing is changing for you except a reduction in confused calls from family and friends on how to install a piece of software. Now they can just open the app store click on an app and find it in the LaunchPad ready to go. No more mounting disk images and running package installers or dragging to the Applications folder. Unless of course that us the only way the app is offered. Also important to users, no more tracking serial numbers, locating DVD's or hours of reloading software should you need to reinstall. Making it as simple to reset your desktop as your iPhone or iPad is today. With cloud based backup solutions we can see a day when you could reformat your computer auto re download your apps and pull your data back from the cloud. This is totally optional for developers and is going to be huge for small developers. Access to a store where all of your potential customers visit. Able to sell at lower prices because piracy has been greatly reduced. No dealing with software keys to lock your application. This can be a biggest thing to happen to small developers ever. As a new developer I am looking forward to publishing on the Mac App Store it just seems like a simple choice. The MacBook Air looks awesome. I use my MacBook Pro for coding and website design and my iPad for writing, surfing, and email I don't expect to run out and get an AIr but I do see what the fuss is about. It is small, light, ultra portable, and fast enough for what 95% of users want to do. It looks good for casual games, surfing the web, and light content creation. The flash based storage isn't huge but with large USB drives and cloud storage options popping up all the time the limited Flash based hard drive 64-256 GB isn't really an issue. If I did't already own a 17" MacBook Pro I would consider the Air for a first Mac. The Air seems to be Apple's foray into the Premium net book market. With a $999-$1,599 price point it isn't cheaper than other net books but it is far more capable. Intel Core 2 Duo CPU, 2 Gigs of RAM and large flash storage makes it a fast and small machine. The MacBook Air will be a must have for the back to school crowd and people with light to moderate computing needs. The lack of optical drive option did prompt Apple to include a small USB key for software restore. I hope to see this become the standard for software restore on all computers. It is more convenient than disks just pop it into the USB port and reboot. 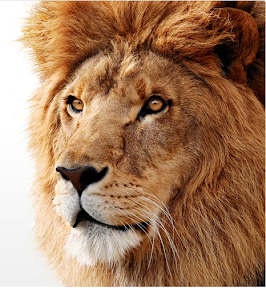 Overall it was a good presentation from Job’s and team, I do expect we will hear more about Lion in the coming months leading up to it's summer release. I hope we see quiet a few more new features to make our OS more ready for the enterprise, more user friendly, and more powerful than ever before. Apple is now 10% of the PC market and 20% if you count the iPad as a PC. That growth is only going to continue upwards for the foreseeable future. It is really an exciting time to be a Mac fan and even more exciting to be a Mac developer. If you are one of those who are new to the Mac again; welcome! To get the most from your Mac and iOS devices seek out a Mac User Group in your community. Other Mac users are always happy to share information and teach one another about our favorite software. I was very pleased to seek out this web-site.I wished to thanks on your time for this excellent read!! I positively having fun with each little bit of it and I have you bookmarked to take a look at new stuff you blog post.